Slash: New Solo Album Is "Raw And Spontaneous"
Slash has been talking about his new in-progress album. It will feature singer Myles Kennedy for all tracks. After the festive break, Slash and Co. return to the studio to continue recording and mixing the as-yet-unnamed album, and the Les Paul-toting star predicts an April release. 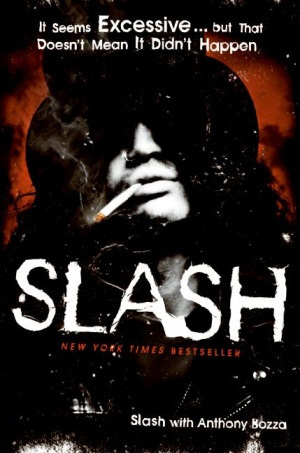 Of the completed individual songs, Slash says, “There’s one song at this point called ‘Bad Rain’ which is a mid-tempo, very heavy and dark song. It’s in a drop-D tuning – and we’re already playing a half-step down – and the solo has a kinda chromatic feel. 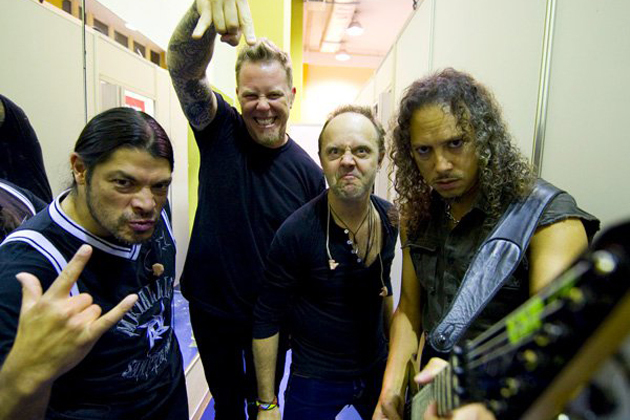 Metallica: Going Old School On The New Rubin Produced Album? Metallica are working with producer Rick Rubin on the album that will hopefully make us forget all about the whole "Lulu" debacle. You never know with Metallica, but there’s a good chance we will see the follow-up to "Death Magnetic" in 2012. 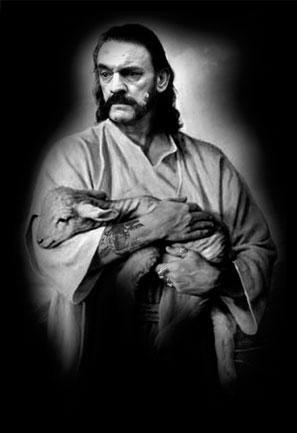 And producer Rubin will have one helluva year, producing both Metallica and the new studio album by Black Sabbath! From the early thrash days of ‘Jump in the Fire’ to the more epic metal on ‘Master of Puppets’ and eventually mainstream hard rock like ‘Nothing Else Matters’ - Metallica has brought several different degrees of rock to audiences and fans everywhere. Legendary rock bands Cryer and Quartz reunited for a one-off appearance at The Asylum, in Hockley, Birmingham, England on Friday, December 16th to raise funds for research into encephalitis and teenage cancer. They replicated the night they played together at Digbeth Civic Hall on December 1st, 1979, when Quartz recorded their live album. They signed a contract with the Jet label and toured with both AC/DC and Black Sabbath before beginning work on their first album. The tour with Black Sabbath turned out to be quite fruitful, as they gained a tour manager (Albert Chapman) and a big fan in Sabbath guitarist Tony Iommi. Iommi took over the production duties on their eponymous debut, drafting Queen's Brian May into the sessions to play some guitar. Quartz were among one of Birmingham's greatest rock bands and all NWOBHM fans still holds tracks like "Satan's Serenade", "Wildfire"and "Street Fighting Lady" close to their hearts. Cryer's two reunion gigs last year went down a storm, remembered for stunning vocals from Graham Careless, sparkling guitar solos fromHuwey Lucas and a polystyrene head that would not blow up. On January 3rd, Van Halen will confirm cities and dates for the first series of shows on their 2012 world tour. Tickets will go on sale January 10th. 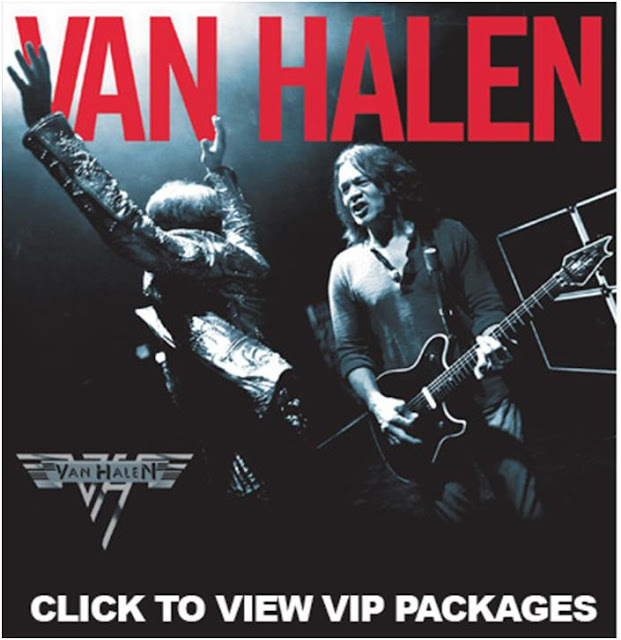 While fans await more details from the band, special VIP Packages will be available via I Love All Access (see above image), marking the third time VH have teamed up with ILAA – as they did for their 2004 and 2007 tours. 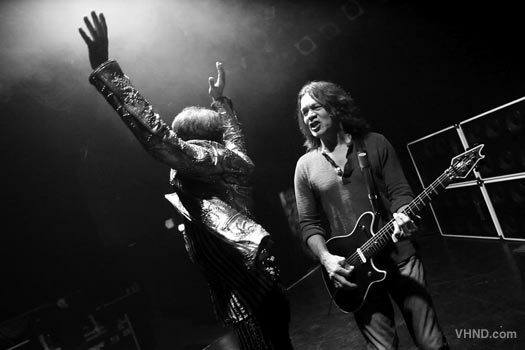 "For the past 2 months Van Halen has been rehearsing here 2-3 times a week!!!!!! "Do you have any idea how hard that was to not tell you?? When you come in at 10:00 a.m. and David Lee Roth, Eddie Van Halen, Alex Van Halen, and Wolfgang Van Halen are on stage with three other people in the room playing 'Running With The Devil' and you can't say anything?! It's tough, to put it simply. "It all began with a three-day video shoot for their newest single that you don't know about yet (shhh) and we were all geeking out like never before. Little did we know, the guys had fallen in love with the room and decided to rehearse for their upcoming unannounced tour for the next two months! "We couldn't film it for obvious reasons, so we've decided to share some of our favorite Van Halen moments that happened for the next two months." 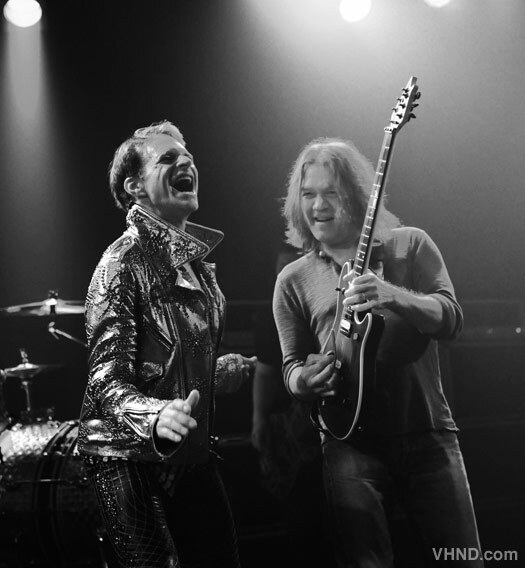 Days after Van Halen confirmed that it will head out on a world tour in 2012, the Van Halen News Desk has posted more information regarding the tour and the band's first new studio album since 1998. Next Tuesday (January 3rd), the dates and venues for the tour will be unveiled, with tickets going on sale January 10th. January 10th will also see the arrival of the first single and music video from the long-awaited album, which itself is set for release on February 7th. Michael Schenker was replaced as Scorpions lead guitarist by Ulrich Roth in 1973. As a guitar player for Scorpions he recorded four great studio albums and one legendary live LP. The following is a homage to that era in heavy rock history. Recording their third album, and the second to feature Roth, «In Trance», (1975), the band began working with producer Dieter Dierks. «In Trance» became a best-seller in Japan. Uli Jon Roth wrote the killer opening track «Dark Lady» and three others as well for the album; «Evening Wind», «Sun in My Hand», the instrumental «Night Lights» and co-wrote, again with Rudolph Schencker, «Longing For Fire». The title track of the album is also a true classic. Below you can watch Scorpions - featuring both Uli Jon Roth and Michael Schencker -performing the song live in Wacken. The Scorpions soon rise to fame becoming the top German hard rock band, when their fourth album «Virgin Killer» (1976) won the «LP of the Year» award in Germany. Again Roth penned several songs for the album; the title track, «Hell Cat», «Polar Nights», «Yellow Raven» and co-wrote the opening track «Pictured Life» with Klaus Meine and Rudolph Schencker. Even though the album is almost even more famous for the cover, tha album is another great Scorpions LP. Below you can listen to «Hell Cat», live from Japan. Uli Jon Roth would soon leave Scorpions. 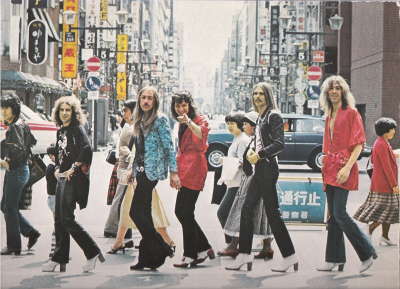 But before that happend the band toured Japan, and released the legendary double live album «Tokyo Tapes» (1978). On this album Scorpions is on fire! The playing is all over amazing. It stands as one of the best live recordings ever in my opinion. The show opener « All Night Long» is written by Uli Jon Roth and Klaus Meine. Cheers! For further reading I recommend the WikiPedia articles and the bio on the official site. According to the usually reliable Van Halen fan site Van Halen News Desk, Van Halen will announce the first details of its upcoming tour on January 3rd, with tickets set to go on sale a week later. 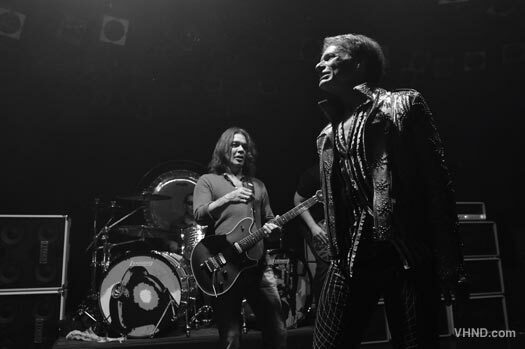 The band's much-anticipated new album - which will be the band's first with original singer David Lee Roth in 28 years - will arrive on February 7th, with the first single and video set to premiere on January 10th. 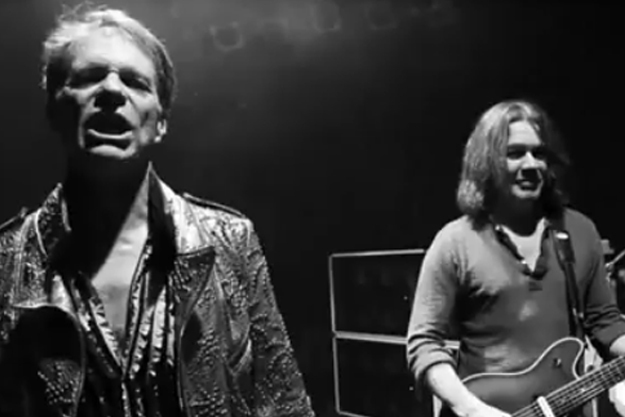 A two-minute trailer for Van Halen's upcoming tour, which was shot on November 14th at the Roxy nightclub in West Hollywood, California, can be seen below. The clip apparently features visuals of the band performing a brand new song - but all you hear on the clip itself is audio of severalDavid Lee Roth-era Van Halen classics. The November 14th shoot was reportedly for a video for the song that the band is seen but not heard playing in the tour announcement clip. If the image above is the cover for their new album is not confirmed. Judas Priest "Live Vengeance `82" was released as a DVD in 2006. Another glorious chapter in the career of Judas Priest is covered here, and what a concert it is! Originally released as a home video, this concert was recorded in Memphis on December of 1982 during Priest's "Screaming for Vengeance" world tour. 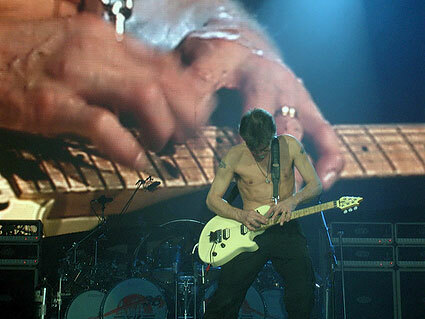 "Did you know Steve holds the Guinness Book Of World Records for performing The World's Largest Online Guitar Lesson? Here is a snippet from the hour-long broadcast offered by Steve and BerkleeMusic.com, which showcases just a few techniques from his official course. The Steve Vai Guitar Techniques online course through BerkleeMusic.com has been a great success throughout 2011 and we are pleased to announce a new course beginning January 9, 2012. For more information, please visit this location. Vai will be participating and performing on one of the dates for this year’s Rock ‘n’ Roll Fantasy Camp held in Hollywood, CA. 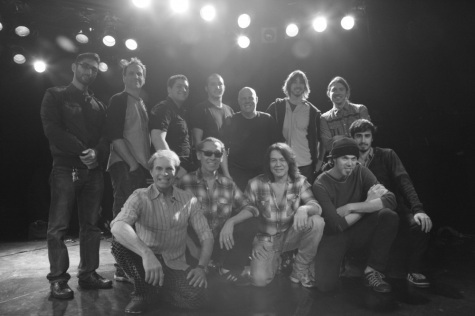 The camp, which spans February 16th - 20th, provides a once-in-a-lifetime rock and roll learning experience for attendees. This year, members of the camp will also write and record an original song at a world class recording studio with Led Zeppelin’s and The Beatles' producer, Eddie Kramer. At the end of the week, they will be invited jam at The Whiskey A Go-Go on the Sunset Strip in Hollywood. Click here for more information. As previously reported by the TEC Foundation, Vai will be presented with the prestigious Les Paul Award at the 27th Annual Technical Excellence & Creativity Awards, to be held Friday, January 20th, in the Pacific Ballroom of the Hilton Anaheim during the 2012 NAMM Show. Co-presented by the TEC Foundation for Excellence in Audio and NAMM, the TEC Awards recognizes outstanding achievement in professional audio production and product design. The Les Paul Award was established in 1991 to honor musical artists who have had distinguished careers as innovators in the creative application of audio technology. Interscope/Universal Japan has set February 8th as the release date for Van Halen's anxiously-awaited reunion album with David Lee Roth. A regular version plus limited deluxe with a bonus DVD will be available. More details will be revealed soon. Van Halen's official website has been updated with news that the band will be hitting the road in 2012 and the first tickets will go on sale January 10th. The site also features new video of the band - Roth, guitarist Eddie Van Halen, drummer Alex Van Halen and bassist Wolfgang Van Halen - reportedly filming the first single at the the Roxy Theatre in West Hollywood, California recently. "One of the new tracks to look for on the Tooth And Nail CD is 'When Eagles Die' with Jeff Pilson on vocals. Michigan looks to get the first visit of Lynch Mob this year (2012), right before Monsters Of Rock Cruise. Probably bring some Tooth And Nail along to play for fans!" Watch the Lynch's tour schedule for updates here. As previously reported, Tim "Ripper" Owens has recorded vocals for the classic Dokken track 'Kiss Of Death' for the Tooth And Nail debut. According to an update from the studio, "Owens kills a new version of 'Kiss Of Death' in what is described as a DIO-inspired performance." Other vocal guests on the album include ex-Skid Row singer Sebastian Bach (on 'Alone Again'), Doug Pinnick (King's X), Jeff Pilson (on 'When Eagles Die') Pilson and Mick Brown (on 'When Heaven Comes Down'). 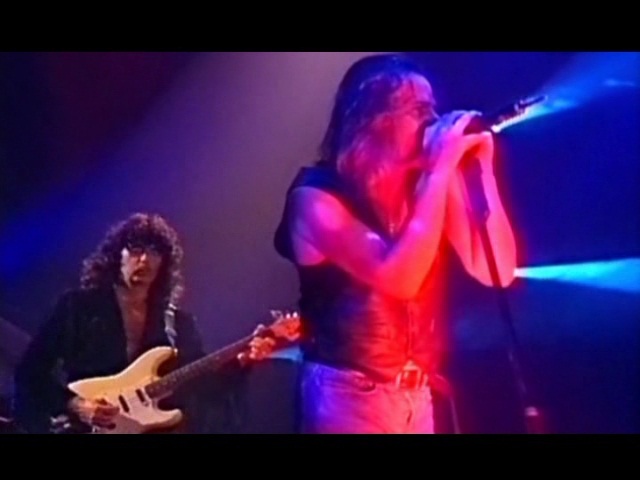 Rainbow live at the Rockpalast, Germany in 1995. Rainbow started touring in October 1995, at which time Reilly had broken a rib - thus Chuck Burgi stepped in and took his place. They toured the US, Japan and Europe. 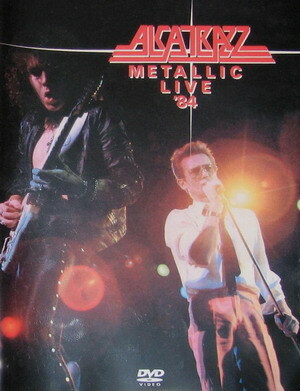 The mighty Alcatrazz featuring Graham Bonnet and Yngwie Malmsteen, "Metallic Live 1984" was recorded at Nakamo Sunplaza in Tokyo, January 28th, 1984. North American syndicated radio show InTheStudio rocks in the New Year with Kerry Livgren, Steve Walsh, Rich Williams and Phil Ehart from Kansas for the 35th anniversary of "Leftoverture". 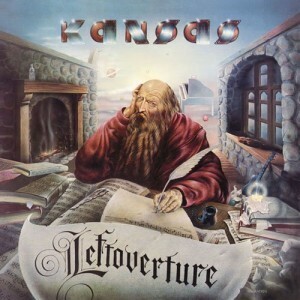 Hailing from Topeka with its blend of progressive American rock, Kansas cemented their place in ʻ70s rock history with their breakthrough fourth album Leftoverture which would spawn the hit "Carry On Wayward Son" as well as "Whatʼs On My Mind", "The Wall" and the radio favorite "Miracles Out of Nowhere". Kerry Livgren shares with show host Redbeard just how special the recording of Leftoverture was and how, for the band, itʼs never quite been duplicated. "There was a kind a magic feeling around the recording of Leftoverture that years later, as we recorded our subsequent albums, we kept saying, 'What was it that we did that made this come out that way?' .We went back to the same studio, we used the same place, the same people and we weren't able to recapture that... So I attribute it to the songs." InTheStudio can be heard on over 50 radio stations across North America. The Kansas/ InTheStudio program will air the week of December 26th - January 1st. Stream it online here. 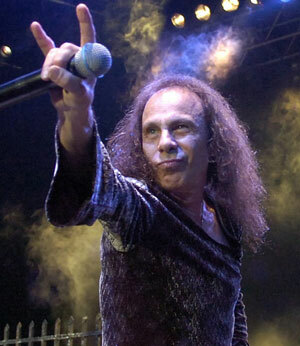 Ronnie James Dio’s autobiography is to be published in 2013. Talking at the Key Club in Hollywood, at an event to celebrate the life and music of Dimebag Darrell, Dio’s widow Wendy (who has taken on the task of finishing the book revealed that she will deliver the completed work on January 15, and it will be published by MTV Books in autumn 2013. It’s to be called "Rainbow In The Dark: The Autobiography Of Ronnie James Dio". Wendy Dio was asked about the status of "Rainbow In The Dark: The Autobiography Of Ronnie James Dio", the revealing memoir of the heavy metal master, which was three-quarters written before the singer's death and which will be published in the fall of 2013 via MTV Books. "I have to deliver it by January 15th," she said. "I'm writing the last few pages. I'm finding all the photos to go with it. I deliver it January 15 so it comes out a year and a half later." On the topic of whether there is any previously unreleased Black Sabbath material with Ronnie available that will eventually see the light of day, Wendy said, "Yes. But that's another story, because there are three managers involved. And we have to discuss that, but I'm sure everybody's gonna be great, especially if we give it to the charity." With nearly five decades of worldwide success and album sales in the tens of millions as the front man of ELF, Rainbow, DIO, Black Sabbath, and, most recently, Heaven & Hell, Ronnie James Diograbbed the mic, took the stage, and led a movement whose influence resonates to this day. "Ronnie was a very special person," Wendy said. "Not only was he an amazing vocalist, amazing songwriter, he was an amazing person as a human being. He loved people. He loved his fans. He listened when people spoke. A lot of times people don't listen. He listened. He remembered people's names. He remembered their children's names. He was just a very, very special person. He was taken too soon from us. . . I don't think anyone's ever said a bad word about Ronnie except for [former DIO and current Def Leppard guitarist] Vivian Campbell. [Laughs]"
Van Halen: New Studio Album Coming 2012; Artwork Revealed? Van Halen recently inked a deal with Universal Music Group's Interscope. The new, as yet untitled Van Halen album is completely finished and due to be released in early 2012 according to the graphic seen above. This recording will be Van Halen's first album with vocalist David Lee Roth in more than 25 years, and their first new music as a band in seven years. Van Halen have just posted a video that announces their 2012 tour, and according to the video, the first tickets will go on sale on January 10th. More details will follow. Check out the video below, and keep an eye on the Van Halen website. Late Sunday night on Twitter, David Lee Roth tweeted a Vimeo and a YouTube clip of what appears to be the band, Eddie Van Halen, Alex Van Halen, and himself working out live moves on a sound stage. Wolfgang Van Halen, now a bear of a man, is seen on bass guitar. VH's own official Facebook and Twitter accounts also stirred with the news. Imagine our surprise coming home from holiday revelry to see this. More clips can be seen on the band's official site here. Van Halen - Long Version Trailer from Van Halen on Vimeo. After 13 years of rumors, reissues, and a revolving door at the lead singer position, Van Halen is supposedly finally ready to re-emerge with new music - and with original vocalist David Lee Roth on board for his first full-length VH record in nearly 30 years. 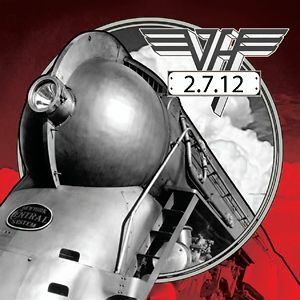 In a brand new video post Van Halen announce touring in 2012 with first tickets on sale January 10th! Is 2012 going to be the year Van Halen finally returns to active duty, or are fans headed for 12 more months of anonymous rumors and disappointment? Here’s what we know so far. So if recording is finished, what’s the holdup? Well, it’s Van Halen, so we’ve got the usual rumors of personality conflicts in the band , as well as Extreme guitarist Nuno Bettencourt’s contention that Eddie told him he’s “a little nervous” about how the whole thing will turn out. Whether or not any of those rumors are true, the band has definitely had some kinks to work out on the business side of things - after more than 30 years with Warner Bros., they recently signed a deal with Interscope Records for the new album, which is supposedly set for a February 2012 release date. Yeah, we know - release dates have been rumored in the past. But the band’s lead singer couldn’t be held accountable via Twitter before. That’s got to count for something, right? **UPDATE** Richie talks new studio album - videos available! 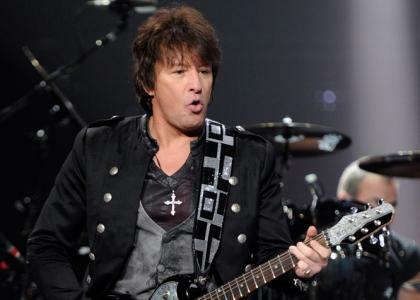 While Bon Jovi fields death rumors (yes, he’s alive and well), his lead guitarist Richie Sambora is starting work on his third solo album at Ocean Way Recording in Hollywood. According toBroadcast Newsroom, Sambora has tapped Luke Ebbin, who manned the boards for Bon Jovi albums "Crush and Bounce", for the project. “Richie and I have worked on and off together for years,” Ebbin told Broadcast Newsroom. 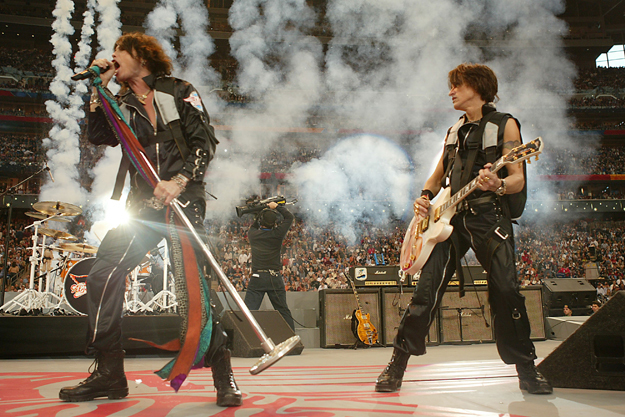 “Richie came off the Bon Jovi tour energized and we got together to write a couple of songs. The results were very good, so we kept writing more and decided to go in and record them. Sambora’s first solo release was 1991’s blues-based "Stranger in This Town", and he followed up that with 1998’s "Undiscovered Soul". Ebbin says the guys have started round two of sessions and hope to have the full album done by early spring. Lemmy Kilmister, Jason Bonham,Mark McGrath, Scott Ian, Glenn Hughes,Steve Stevens, Corey Taylor, Billy Gibbons, Dominick Monaghan and Franky Perez are among the guest musicians who performed with Camp Freddy onFriday, December 23rd at the third and final show as part of the band's fifth annual Christmas residency at the world-famous The Roxy Theatre in West Hollywood, California. Aerosmith is back in the saddle, recording tracks with producer Jack Douglas for what will be their 15th studio album. So what can we expect to hear from the boys from Boston this time around - and when will we hear it? This year marked the tenth anniversary of Aerosmith’s most recent album of original material, the million-selling "Just Push Play" - and capped a decade filled with tours, fights, solo projects rehab stints, `American Idol‘ and album after album of reissued, repackaged, and reheated songs from thye vaults Other than 2004′s covers project "Honkin’ on Bobo", they’ve made time for pretty much for everything except recording together. Based on the snippets of works-in-progress that we’ve heard during the band’s periodic video updates from the studio, the new (and as-yet untitled) record should offer more of a stripped-down rock sound than the Aerosmith records of the ’90s. 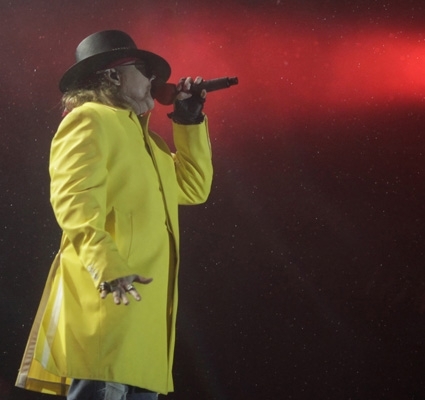 Guns N` Roses: Entire Los Angeles December 22nd Show Available; 3 Hours of Great Music! Professionally filmed video footage of Guns N' Roses' entire December 22, 2011 concert at the Forum in Los Angeles, California can be seen below. The show was streamed online via iClips as a pay-per-view event. Guns N' Roses lead singer Axl Rose said that the last thing he wants to do is ruin the band's Rock And Roll Hall Of Fame induction for anyone - but that doesn't mean he's willing to perform with his former bandmates. In a rare new interview with the Los Angeles Times,Rose said about the group's upcoming induction into the Hall, "I've got mixed emotions about what the Rock And Roll Hall Of Fame actually really is, but at the same time, there's a lot of people - the fans - that it just means something to them, and they're happy. It's like you won the Heisman or something." Mötley Crüe: New Music, Movie, Major Tour Coming; To Co-Headline With KISS? On the heels of news from Vince Neil that the singer is considering leavingMotley Crue after their Las Vegas residency in February, comes word from bassist Nikki Sixx that the Vegas run is “the beginning of what will be the biggest probably four to five years of the band’s career." "We’re negotiating with a couple of other extremely huge bands on doing a co-headline tour, something that’s never happened before. 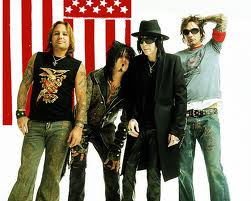 There's new music in the future,” Sixx tells Rolling Stone . One hot rumour says that the Crüe will do a headline tour with KISS - and that would be awesome! "The other thing to look at is the wheels are in motion for getting the Mötley Crüe movie made now," says Nikki. "We finally got everything in order the way it needs to be done, and that’s gonna happen." Beyond Vince’s comments this week, Sixx says the Crue are looking at winding things down at some point. "The band sat down and had a powwow as brothers and friends and guys who’ve been doing this for over 30 years, and we said, 'When is it time? '"Sixx tells Rolling Stone. "We’ve always said since we were kids we didn’t want to hobble in to the sunset. So after the movie, at some point – whether it’s within a year or a few years – we’re probably gonna have that conversation about maybe it’s time, maybe it’s time to go out on top." "If I’m watching my favorite boxer, and he’s just won the heavyweight championship of the world and he retires, it kind of makes the guy a legend," he says. "I always respected Led Zeppelin, and I’d rather Mötley Crüe be thought of as that type of band rather than a band that’s just going through the motions." For the moment, though, Sixx says everybody in Crüe is very focused. "We’re a hundred percent engaged," he says. "We’re sounding better than we’ve ever sounded musically." 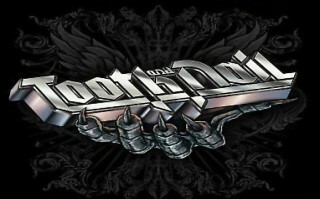 Tim "Ripper" Owens (Yngwie Malmsteen, Judas Priest, Iced Earth, DIO Disciples) has contributed guest vocals to the forthcoming debut album from Tooth And Nail, the new project featuring current and former members of Dokken - George Lynch (guitar), Jeff Pilson (bass), and Mick Brown (drums). 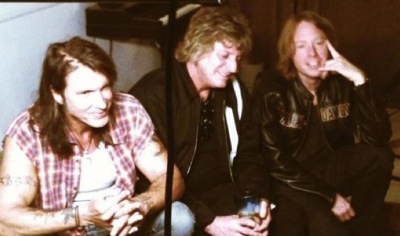 Tentatively due in March 2012, the CD will feature new original material as well as reworked versions of around five or six Dokken classics. Owens is said to have recorded a killer new version of Dokken's "Kiss Of Death" in what is described as a Ronnie James Dio-inspired performance. Additional lead vocal duties on the CD will be handled by former Skid Row frontman Sebastian Bach (on Dokken's "Alone Again"), Doug Pinnick (King's X), Jeff Pilson and Mick Brown (on Dokken's "When Heaven Comes Down"). The drum tracks on the new, original compositions will be taken care of by Brian Tichy (Whitesnake, Foreigner). Regarding how Tooth And Nail came together, Pilson said in an August 2011 interview, "The Dokken [original lineup] reunion has been scrapped, and I take a lot of the initial responsibility for that because of my schedule and commitment to Foreigner. I was, however, upfront about that from Day One. We did talk, though, and I think we all thought it was going to happen somehow at some time. Then Don [Dokken, vocals] and George got in some nasty e-mail fights, which I'm not really in a position to evaluate but they did get ugly and seem to put an end to further reunion thoughts. The two of them had their own business outside of the pending reunion and something just went south. For whatever reason, it was time to move on. Then George asked me about working with him on the next Lynch Mob record - and I jumped at the chance. He and I started writing, got into a groove and wrote an album's worth of stuff, all with the intention of Oni [Logan, Lynch Mob singer] writing lyrics and it being their next record. Brian Tichy laid down some incredible drums at his studio (and co-wrote some music on one track) and we had an incredibly strong start. Then Oni just wasn't feeling the music as being Lynch Mob, so it was shelved. We figured it'd be the start of another Lynch/Pilson record some day. Then, actually, it was Brian who had the idea that Mick, George and I should do a band, similar to what Heaven & Hell was to Black Sabbath, and call it Tooth And Nail. Because of everything else we have going, it'll be just a recording project at first, but sure sounds fun. We'd record the classics keeping true to the originals but make them fresh and organic. Then the idea of doing new songs came up, and it grew from there.